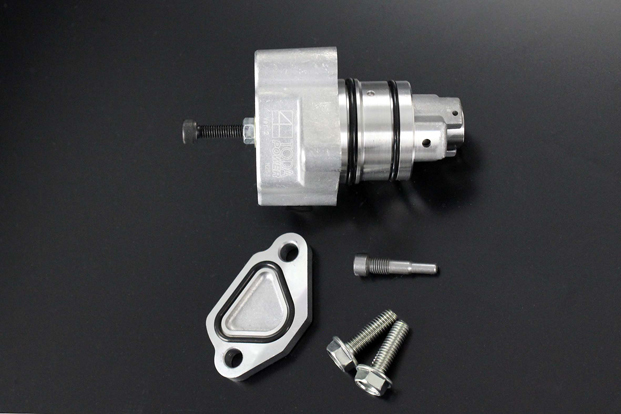 To maintain correct tension and to overcome the oil pressure auto tensioner's weak-point, preventing the valve timing slipping under engine braking. Work with heads that have up 1mm shaved off the deck face. Recommend to use with TODA Heavy Duty Chain. *Thicker head gasket than genuine (0.6mm) can not be used. *Cylinder head milling up to 1.0mm is allowed. Inner structure of a F20C chain tensioner has been modified to be sturdier. In order to indentify the modification from an external appearance, "Ver.2" mark is added below TODA logo.